We were called by Police about a different party of 11 also on a 3 peaks attempt on Scafell Pike also reported overdue. They also made their own way off the mountain. 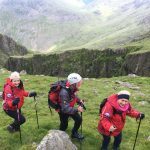 We were called by Police about a party of 4 reported overdue from a 3 peaks attempt on Scafell Pike. They later made their own way off the mountain without assistance. We were called by Police about a group of walkers reported overdue from a 3 peaks attempt. They turned up around an hour later at the Woolpack safe & well. 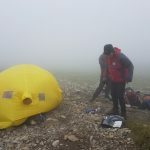 We were called by Police about a group of the 3 peaks who were reported overdue. Whilst we were gathering details they turned up at Seathwaite safe & well. We were called by Police about a group of 3 taking part in the 3 peaks who were reported overdue back at their vehicle. As we were making enquiries they arrived back safe & well and we stood down.